"What do the sacraments mean?" It's a simple question that can't be answered simply. There are seven religious rituals or church ceremonies that Catholics call sacraments. Then there are other lesser rituals and practices (like blessing ourselves with holy water or praying the rosary) called sacramentals. Is there a single meaning that can embrace all the sacraments? Sacraments are rituals that are highly symbolic. Unlike traffic signs or signs in a store, symbols can mean more than one thing at the same time: They can mean different things to different people (think of a cross, a six-pointed star or a crescent), and they can have different levels of meaning. For example, think of the many levels of meaning—personal, family, civil, religious—connected with a wedding. Ceremonies that are rich in symbolism can mean many things at once. The Latin word sacramentum means "a sign of the sacred." The Catholic sacraments are ceremonies that point to what is sacred, significant and important for Christians. Members of the Catholic, Orthodox and Anglican/Episcopal traditions call seven of their religious ceremonies sacraments. Most Protestants count only two rituals—Baptism and Communion—as sacraments. Nevertheless, Protestants have ceremonies that are similar to Catholic sacraments, for example, weddings and ordinations. 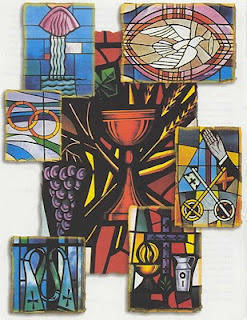 Sacraments are celebrations of Christian tradition, of Christian life and of Christian hope. They share the dimensions of past, present and future that give ordinary celebrations meaning. Sacraments, though, are no ordinary celebrations. They are special occasions for experiencing God's saving presence. It is important for people to be in touch with what the sacraments celebrate if the rituals are to be as meaningful as possible for them. Sometimes people who participate in a sacramental celebration do not fully appreciate one or another of the dimensions of a sacrament's meaning. In this case, the sacrament speaks its meanings, as it were, to those attending the ceremony and invites them to find out more about them. The sacrament also calls people to get in touch with the sacred realities it celebrates. The more people respond to this call (for example, Reconciliation's call to forgive and accept forgiveness), the more they will find meaning in the sacrament. Celebrated on the second and third Sundays of the Month at 1:00 pm. Preparation class on 3rd Thursday of the month in the school at 7:00 p.m. Please call the parish office at (516)938-3956 in advance to make necessary arrangements. Saturday 3:00-3:45 p.m. or at any time by appointment – call the Parish Office at (516)938-3956. Additional times are scheduled before Christmas and Easter. 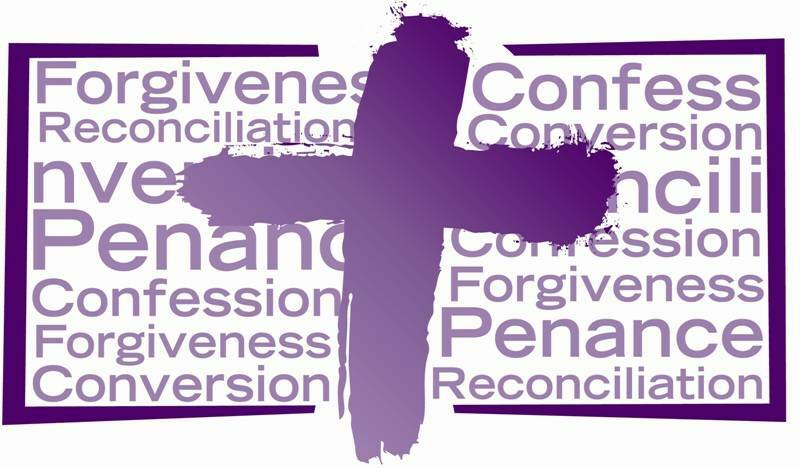 First Reconciliation for students in second grade takes place in December. This is preceded by classroom formation beginning in September and a parent meeting. For students not in second grade who are still in need of making their First Reconciliation, please contact the Coordinator of Religious Education at (516)822-8348. Check the Mass schedule for opportunities to receive Holy Communion. We offer one daily Masses and four weekend Masses. Communion for Sick or Homebound - Please feel free to call the Parish Office. We are more than willing to minister to those unable to come to Mass. 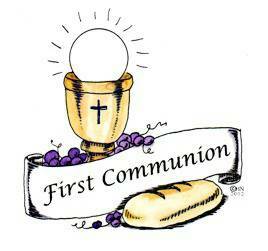 First Communion for students in second grade takes place in the April. This is preceded by classroom formation beginning in September and a parent meeting in January. For students not in second grade who are still in need of making their First Communion, please contact the Coordinator of Religious Education at (516)822-8348. Confirmation for students in eighth grade takes place annually according to the Bishop's schedule, typically in March. This is preceded by classroom formation beginning in September, several additional catechetical sessions, and a parent meeting in October. 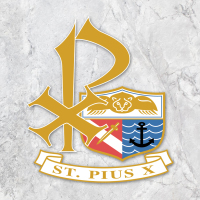 Individuals in high school or older who have not received the Sacrament of Confirmation should contact the Coordinator of Religious Education at (516)822-8348 to discuss formation and receiving the Sacrament. Couples planning to marry should contact the Parish Office at (516)938-3956 at least six months before the desired date. Marriage preparation is required. This is Diocesan policy. Men who feel called to the priesthood or deaconate need to discern that calling with the help of the Church. If you think you may have a religious vocation, contact the pastor at (516)938-3956 or e-mail Fr.Val.STPX@gmail.com. Celebrated with Mass once a month — for those weakened by age, and chronic ailment, or in preparation for surgery. Also, privately upon request at any time. Hospital Visitation - Please notify the Parish Office (516)938-3956 at if any family member is ill or confined for any reason whatever. Arranging a Funeral - Please call the Parish Office at (516)938-3956 to arrange for planning the Liturgy and setting time for the wake service and funeral Liturgy. The planning is best begun as soon as possible. This ongoing process invites men, women and children, not previously baptized or baptized in another faith, to study and reflect on their spiritual development and growth culminating with the reception of the Sacrament of Initiation which takes place at the Easter Vigil. 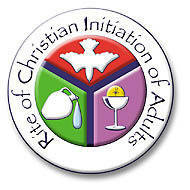 Individuals who are interested in becoming Catholic through the R.C.I.A. process should contact the pastor at (516)938-3956 or e-mail FrVal.STPX@gmail.com. Meetings for R.C.I.A. are held in the parish office meeting room weekly from October to the Easter Vigil.